The Supreme Court allowed the appeal of Mr Brownlee, who had applied for judicial review of the Northern Ireland Legal Services Commission’s decision not to grant his second set of solicitors remuneration for the extra preparation required of counsel. Before the case reached the Supreme Court, the Department of Justice (sponsoring the LCS) recognised the need to amend the 2011 legal aid Rules to allow remuneration in this case and others, to ensure that defendants’ rights to legal aid are met. The judgment itself is clearly sensible, and is worth reading in particular for the discussion of the impact of lawyers’ remuneration on defendants’ ECHR art 6 right to a fair trial. Raymond Brownlee was facing trial on a number of counts including false imprisonment, making threats to kill and wounding with intent. At the close of the Prosecution case, a dispute with his legal team resulted in their no longer acting for him, but the trial continued and he was ultimately found guilty of several offences. Mr Brownlee instructed new solicitors prior to his sentencing hearing, but the sentencing exercise looked to be complex and any counsel instructed would require substantial preparation. The fees payable for the hearing, however, were fixed, with no remuneration for preparatory work. This was the result of 2011 amendments made by the Legal Services Commission to the Legal Aid for Crown Court Proceedings (Costs) Rules (Northern Ireland) 2005, which had removed a provision for exceptional fees. The LSC confirmed with Mr Brownlee’s solicitors that they would not make an exception in his case, with the result that the solicitors were unable to find counsel who would act for him. Mr Brownlee applied for judicial review of the Legal Services Commission’s decision. Treacy J at first instance allowed the appeal, stating that inadequate remuneration within a legal aid scheme could breach a defendant’s right to a fair trial under ECHR, art 6, if the defendant could not obtain a lawyer as a result. Treacy J made an order of mandamus requiring the Department of Justice to take all necessary steps to make Mr Brownlee’s right to legal aid effective. The Department of Justice then successfully appealed Treacy J’s order in the Court of Appeal. The Court found that, although the remuneration of lawyers was certainly relevant to defendants’ art 6 rights, these considerations did not apply in Mr Brownlee’s case as he had dismissed his own legal team without good reason. a) It was self-evidently a material consideration to be taken into account (para. 32). b) Legal Aid, Advice and Assistance Act (Northern Ireland) Order 1981, art 37 requires rule-making bodes such as the Department to take into account the time and skill necessary to carry out the relevant work. The Department’s failure take this into account when devising the Rules renders them ultra vires (para. 33). (2) The Court of Appeal erred in their assessment that Mr Brownlee dismissed his legal team without reason. In fact, senior counsel had initiated his own withdrawal by informing the judge that he felt professionally compromised. This was not a case of a defendant attempting to manipulate the legal process by deferring his sentencing hearing, as the Court of Appeal had taken it to be (paras. 16-27). The Supreme Court considered the order of mandamus made by Treacy J as no longer necessary, as between the two Courts’ decisions the Department of Justice had accepted that the Rules should be amended to allow for payment of preparatory work, and that they should be made retrospective in order to fulfil Mr Brownlee’s legal aid rights (para. 34). As a result, the Supreme Court simply made the declaration that the Rules were unlawful. The Court also issued a warning, however, that although the Department’s proposed amendments to the Rules would solve the problem raised in this case, the inflexibility of the Rules could cause future unforeseen problems (paras. 36-37). The Supreme Court’s ultimate declaration was sensible and expected – even the respondent had accepted that the Rules required amendment before the case reached the Supreme Court. Furthermore, the Court of Appeal’s errant judgment can be (and was) explained away by their reliance on an incorrect account of the way in which Mr Brownlee and his initial representation parted ways. Although the judgment is unlikely to prove controversial, it is worth reading for the discussion of the impact of lawyers’ remuneration on defendants’ art 6 right. Treacy J at first instance and the Court of Appeal agreed that if legal aid fees are insufficient such that a defendant cannot find representation, his art 6 rights may be breached. It seems unlikely that this will be the last we hear of this argument. 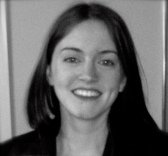 Catherine is a paralegal at David Phillips & Partners, working in criminal defence. After studying Politics and Philosophy at the University of Sheffield, she completed a Graduate Diploma in Law, and is working towards a career at the Criminal Bar. She is currently gaining her police station accreditation, and regularly volunteering as a Legal Observer on demonstrations. Leave a reply on "Case Comment: Raymond Brownlee’s application for Judicial Review (Northern Ireland)  UKSC 4"